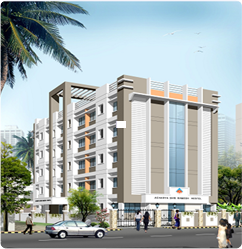 Acharya Shri Ramesh Hostel - Girls Hostel in Kamothe, Panvel, Navi Mumbai. 1. Mark sheet of last exam passed. Admission to the Hostel is open round the year subject to eligibility and availability of accommodation. Any student suffering from chronic/infectious disease is not considered for admission. Students granted admission is required to pay applicable admission fee, term fee and caution money within 7 days.